Today. 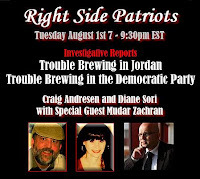 Tuesday, August 1st from 7 to 9:30pm EST on American Political Radio, RIGHT SIDE PATRIOTS Craig Andresen and Diane Sori discuss their two Investigative Reports: 'Trouble Brewing in Jordan' and 'Trouble Brewing in the Democratic Party.' 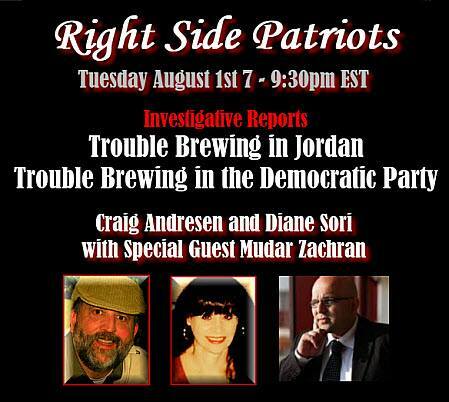 And they welcome special guest Jordanian Opposition Coalition Secretary General Mudar Zahran to the show.